"Good morning," Food Runners texted Erik at 8:30 on Wednesday. "Hoping U can add a pick up @ Kasa India 2day. 1356 Polk @ Pine. Deliv 2 gents @ Rafiki Hse." "No problem," came the simple reply two minutes later. "Hi Dave," Food Runners warbled into the phone. "Have time for a run to White Swan and Marine's Memorial on Nob Hill this morning? 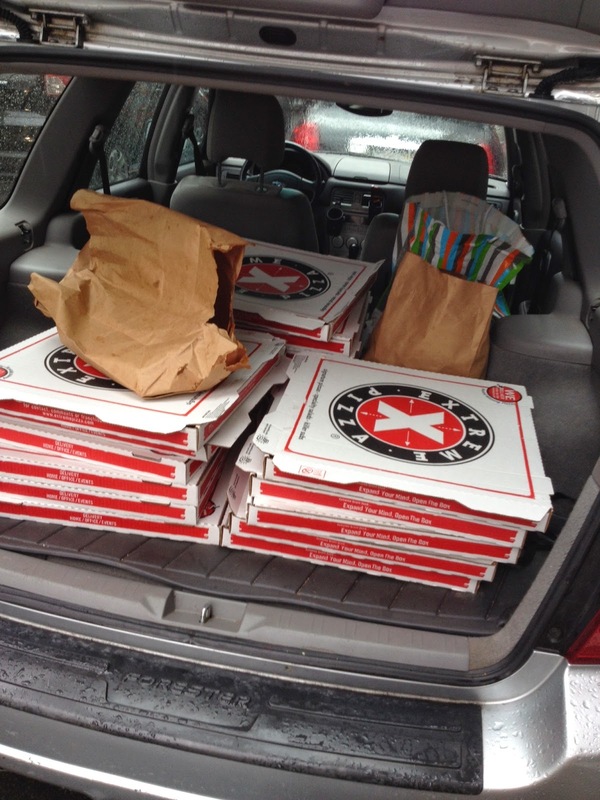 Delivery is to North Beach Citizens." "Sure," replied Dave without missing a beat. "I love North Beach Citizens. What time?" "I am available for a run today if you need me," penned Ernesto in an email to Food Runners on Tuesday. "I'll go anywhere in town on a food run," informed Eloise. "I like the variety. Especially when it comes to meeting the recipients." "Bring on the big grocery store runs," implored Francesca. "I love stuffing my car to the gils. The more the merrier and the more for folks in need. What a great operation." Volunteers. Volunteers. Volunteers. Volunteers are what makes Food Runners happen. Without volunteers, there would be no Food Runners. Because of the time volunteers like Eloise spends; because of the way they care about their fellow citizens the way Francesca does; Food Runners is on pace to keep almost two million pounds of edible food out of the garbage in 2014. That translates to over 1,600,000 meals for San Franciscans in need in this year. All because of the efforts of dedicated volunteers like Dave, Erik Eloise and Francesca. Food Runners is about three things. Alleviating hunger, eradicating waste and creating community. Volunteers are the touchstone of creating that community. To be a Food Runners volunteer is to be part of something larger than oneself. Food Runners volunteers know on a fundamental level that it's not ok for their neighbors to go hungry. Especially in a city like San Francisco where there is so much bounty and so much good, fresh food that, without organizations like Food Runners, would otherwise go to waste. Donations from SF Hilton in Volunteer Julia's trunk. And a big thank you to Food Runners founder and Executive Director, Mary Risley for acting on an "aha moment" 27 years ago while pondering the fate of seven wedding cakes leftover from a class she'd just taught at her cooking school, Tante Marie's. In 1987, Food Runners was the pioneer of perishable and prepared food recovery. For many years, Food Runners stood alone in the mission. Today, with food waste such a hot topic, organizations like Food Runners are springing up around the country. The Food Runners model just keeps giving back. Together, all around the nation, volunteers are getting the job done. Look what volunteer Sam B picked up last week at DemandForce! The Food Runners word is out. More and more businesses are donating. 40 new donors on board since the year began! Do you know what your office or local market does with their leftovers? Tell them about Food Runners. 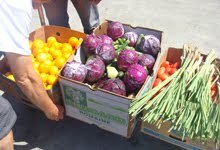 Donating good food to those in need is just a phone call away at 415-929-1866.